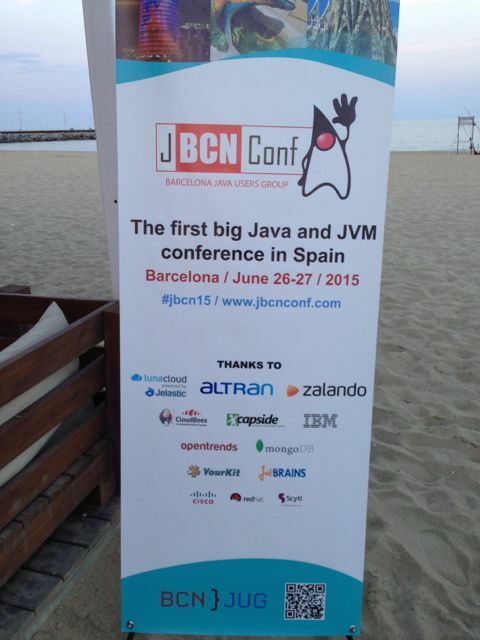 I just returned from Barcelona, after having a great time at the JBCNConf 2015 conference. Its the first big Java conference in Barcelona, and there was more than 220 people attending coming from 40 different countries. I was there with my fellow colleagues from the xPaaS team. 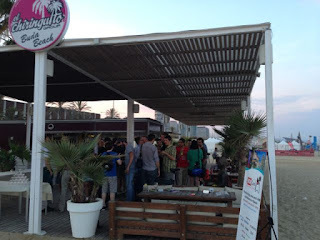 We arrived on thursday and the speakers dinner was down at the beach so we had a nice walk towards the place, where we then enjoyed some beers and tapas. The conference started on friday morning and James Strachan kicked off the event with the keynote where he presented Kubernetes for Java developers. As usually James does a brilliant job at presenting. 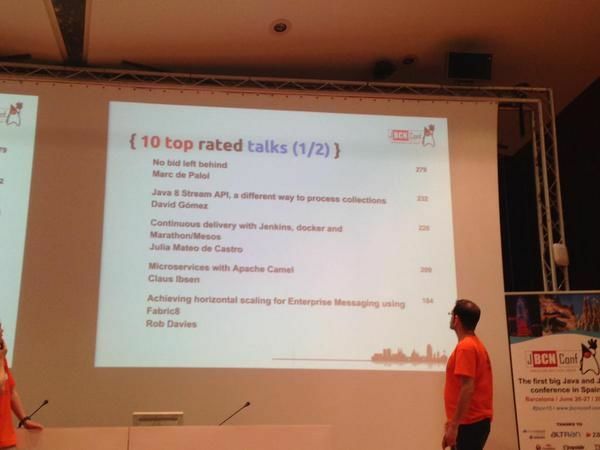 I then watched a few talks such as Bartek presenting vertx, and Jean Babptiste talked about Apache Karaf. vertx 3 is really looking impressive, and I would like to see how Apache Camel can become a plugin in the vertx family. We do have a camel-vertx component today but I feel its more for Camel needed to call into an external vertx event bus. The idea for the Camel vertx plugin would be to flip this around, so vertx developers can easily use Camel and it would feel all natural in the vertx family. Apache Karaf 4 is on the way, and its great to see some of the ideas from fabric8 1.x has found its way into the core of Karaf. And hopefully they make Karaf easier and better as a immutable container that fits modern times with docker/linux containers. Then it was lunch time which is tapas in the square outside which is really nice. After lunch it was Rob Davies to present ActiveMQ in the cloud and how the fabric8 MQ module makes deploying and scaling messaging in the cloud much easier. Rob demonstrated an autoscaler functionality where MQ detects that if the number of brokers are under more pressure to handle the load, then it can automatic scale up and down new brokers, and re-shard the queues across the brokers. After Rob it was myself to present. 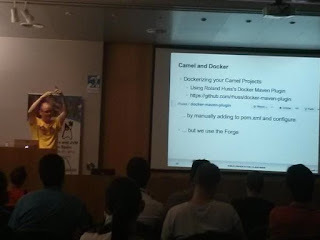 And of course it is about Apache Camel, and it was a similar talk as I did 2 weeks ago in London. However this time I had time to polish and improve a few areas. For example we have managed to get the centralized logging to work, so I could show the logs from the pods in real time in the nice kibana console. There room was almost full and about 10% of the audience have heard about or used Camel. So its great to be able to present Camel to new users. At the end there were a few questions from the audience, and one from James himself. He hasn't seen the Camel forge addons working in IDEA. So he was curious to see more what it could do. So we spend 5 minutes extra demonstrating how the tool easily can edit or add endpoints, where you get a UI wizard that has a form to fill out the options. The slides for my talk has been posted on slideshare. James Rawling was also with us, but this time he 'got lucky' and didn't have to do a talk. A bit of shame as his knowledge and experience with CI/CD is really interesting. Every customer and organization we talk to want such a solution. 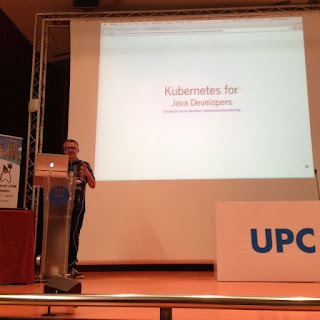 And with fabric8 and kubernetes we have built that using the most popular open source software, such as jenkins, gogs, nexus, sonarcube, taiga, gerrit and so on. 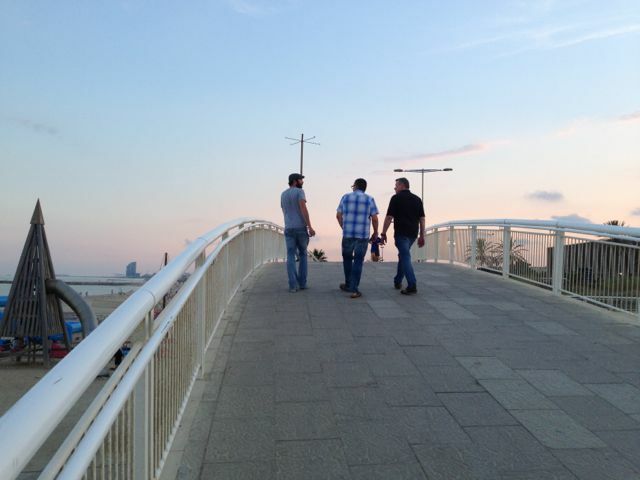 Then it was late in the afternoon and we went for a 'business meeting' in a cafeteria nearby. 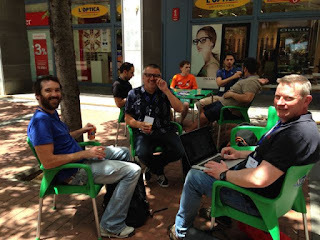 It is surely lovely here in Spain that all those cafeterias often have beer on draft. 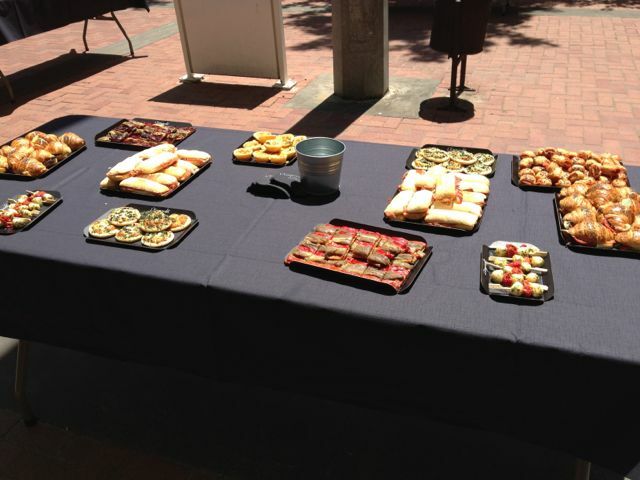 After the 'meeting' we want back to the conference to join the networking and party event on the square in the campus. It was great fun to speak to more people and hear about what they do. And that they are eager to learn more about the new cool stuff such as kubernetes, docker and fabric8. Later in the evening we went out for dinner and then grabbed a jin and tonic at the local tavern that we had discovered yesterday which was located nearby our hotel. Yes we never leave a good opportunity wasted - some of the cool stuff that we have implemented over the many years has initially started as an idea on our many road trips. The next day I went back to the conference for the 2nd day. 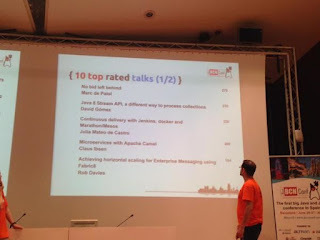 I attended a few talks in the morning. 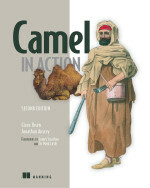 Manning has sponsored 5 Camel in Action books. So before I had to leave I signed those books, that later will be used in a raffle as a give away to the lucky winners. Because the Camp Nou football stadium was only 1.5km from the event, I walked down there, and did the stadium tour. 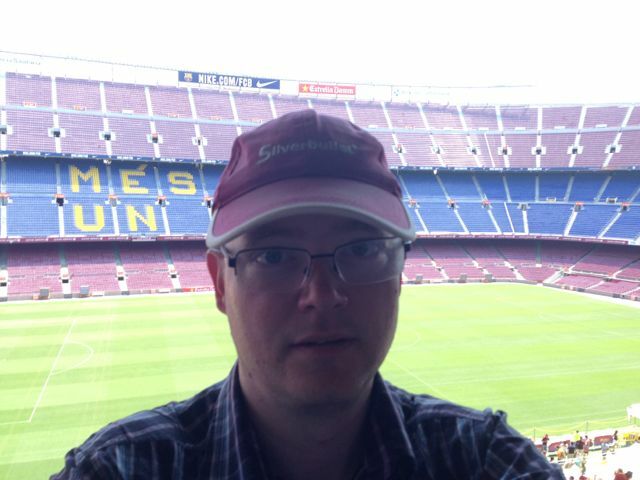 As I had to leave to the airport in about 1 hour, I had to rush a bit the tour. There were a lot of people and kids where they all the time had to stop and take photos and selfies. 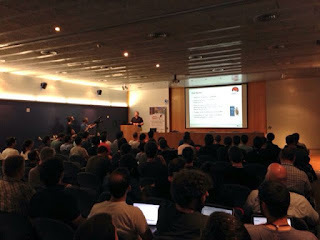 Here at the end I want to congratulate the BarcelonaJUG for an amazing well organized conference. I really enjoyed it. It was laid back and great atmosphere. Hope to be there again in 2016. 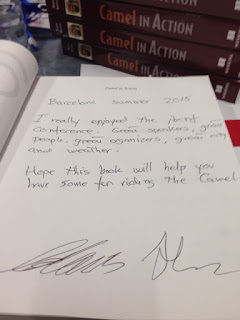 Great story Claus, you are a good travel writer. We'll have to hire you as the conference reporter.